The 2019 conference will take place at the Central Rivers AEA facility in Cedar Falls on April 26th 9:00-12:00. New for this year is the AT Challenge. See below for more information and the link to sign up. View the 2019 CRAEA Student Technology Conference schedule & directory. New for the 2019 Central Rivers AEA Student Technology Conference is the AT Challenge!! AT stands for Assistive Technology and students are challenged to design a device utilizing technology that would assist a student with a physical disability. 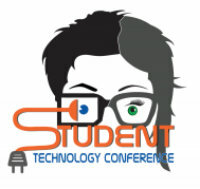 Devices will be shared and judged at the Student Technology Conference. The purpose of the device and justification (explain how it meets the need). A model of the device (can be a prototype). The development process (emphasizing the engineering process). The challenges you had in designing your device and how you overcame them. How you made and/or programmed the device that made it move. If you have questions about the AT Challenge, please contact Ashley Flatebo (aflatebo@centralriversaea.org). If you have any questions about the conference itself, please contact Michelle Cowell (mcowell@centralriversaea.org). Whether you are presenting a session or just attending, don’t forget to fill out your media release form. Please fill out and return the form to Michelle Cowell. You can return them via van mail or email. Please remember the focus of this conference is the students and giving them an opportunity to showcase their knowledge and skills. Please feel free to ask questions to further your own knowledge but refrain from directing the learning from the students. We encourage you to be observers and learners and soak up the awesomeness that surrounds you!